Turbine oil is manufactured for the needs of various industries. It is a product of oil refining; to produce oil with specific properties, different raw materials are selected and additives are introduced into the oil to improve it’s characteristics. The designation of the oil includes its kinetic viscosity at 50oC. The small “p” index, often seen in some oil designations, means anti-oxidation additive was added to the oil. The designation not only corresponds to the quality and composition of the oil, but has an influence on the oil’s price. The higher the viscosity, the lower the price of turbine oil. Each type of oil is used according to its scope of application, this is due to the fact that turbine oil is used in power generation facilities, aviation and maritime power plants. The scope of application and use of oil is strictly defined by the manufacturers. Let’s look into the main properties of turbine oils, which influence their operation. Viscosity (the internal friction coefficient) defines the ratio of heat transfer from oil to a wall of the equipment, loss of energy due to friction in bearings, and flow of oil through oil lines and portioners. The higher the viscosity, the lower the oil’s heat conductivity. As for the composition of the oil, the main rule is not to allow low molecular acids or alkali into the turbine oil. Mineral industrial oils contain naphthene acids. These corrode metals, forming metal soaps and sediment in oil. The lower the molecular weight of acids, the more corrosive they are. Besides, such acids are well soluble in water in elevated temperatures. Since water is always accumulates in the oil in one or another way, stable solutiosn are formed which degrade turbine oils. One of the main characteristics of the oil is its stability: the duration while the oil can retain its functionality in long-term operation. Since the oil is in a constantly heated environment, this may cause the oil to age, form acidic sludge and water-soluble acids. Flashpoint and settling point are the two opposite numbers, which show the two critical temperatures: when the oil ignites and when the oil solidifies in cold temperature. These indications not only show the quality of the oil, but also the possibility of its use in various climatic conditions. One of the most important parameters of turbine oil in everyday operation is the rate of de-emulsification. This shows the time in minutes of complete breakdown of water emulsion. Water virtually does not solve in fresh new oil. However, after a certain time in operation, the oil accumulates certain contaminants. In this case water and oil form a stable emulsion, which continues to circulate inside the equipment. Such emulsion will change the viscosity of the oil, hinders lubrication of friction parts, causes corrosion and forms sludge. This disrupts the function of the oil and can damage bearings. Therefore the quality of turbine oil is defined by the rate of complete separation from water. The process of oil aging deserves a more detailed examination for understanding of its causes, ways to prevent it and re-use the oil. Clarity of the oil is an indication of its purity: a measure of presence of particulate matter, moisture, sludge and sediment. Contamination is also indicated by ash content, that is, the amount of inorganic contaminants which remain after burning an oil sample. The number is expressed in per cent of the total volume of oil sample. High ash content indicates the presence of undesirable contaminants or salts in the oil. Such problems today become less common for businesses, including power generation and manufacturing facilities. Technologies to control the quality and reclaim contaminated turbine oil have long since been available in the market. The CMM type units are designed for vacuum purification and filtration of industrial and turbine oils, for removal of particulate matter, water, water soluble acids and alkali. Several sections for filtration of various kinds, a degassing and drying section and sorbent regeneration section allow to reclaim oil in one controlled cycle. 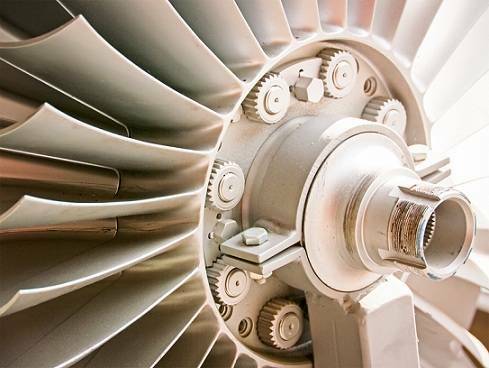 No business using oil as lubricant in turbines can afford to ignore the opportunity to guarantee stable operation of equipment and prevent costs, repairs, downtime etc. It should be remembered that one of the main principle of business is to strive to reach its goals using any means necessary and seizing any opportunity.